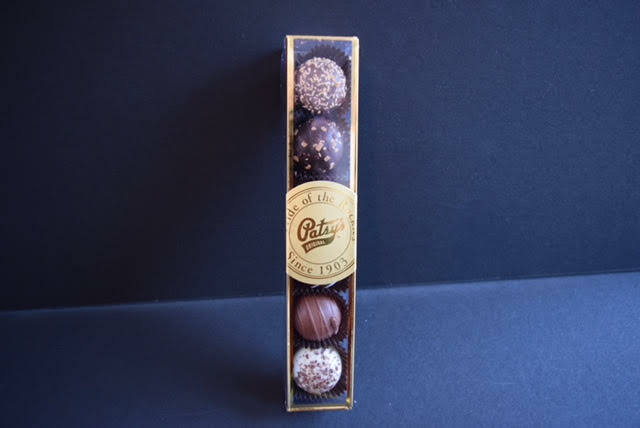 3 oz assorted truffles in gold rimmed acetate box. Sold in cases of 6 boxes per case. Truffles are made in traditional Swiss style using only the finest ingredients blended into a creamy granache center.